MONOCLE magazine: "There are new names helping to carve out a fresh identity for Spain. 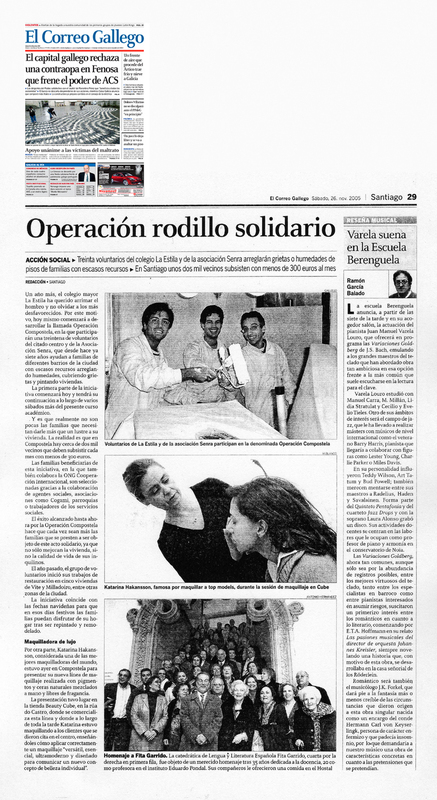 From the innovative Cruz Calvo and her beauty shop in Santiago de Compostela...". WALLPAPER* magazine: "THE SECRET ELITE. Beauty Cube has one of the finest collections of brands you'll find under one roof... ...while the striking white interior displays overt design consciousness". 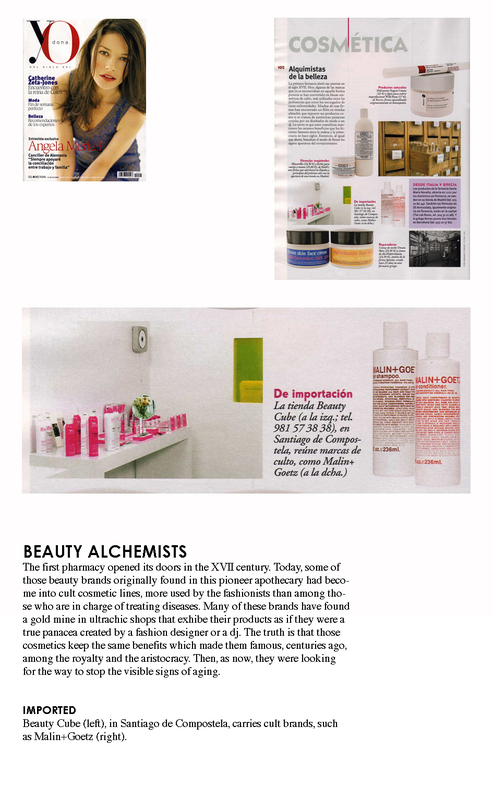 VOGUE: "The Beauty Cube, one of the referential niche shops in Europe...". 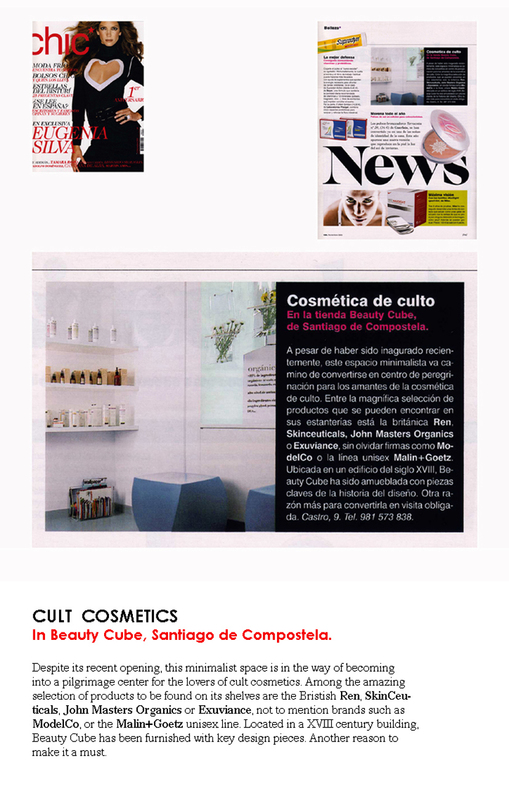 VOGUE: "Cruz Calvo, partner of the niche and cult beauty shop Beauty Cube, and an authentic trend-setter...". ELLE: "Beauty Cube: Pioneering Brands. In this shop and its webpage you will find the top in beauty brands". COOL Mgzn: "A sophisticate paradise of luxury cosmetics. This shop acts as coolhunter discovering and anticipating all the most exclusive trends. It can be said that in Santiago de Compostela we find one of the best beauty spaces in Spain". ARAGUANEY magazine: "Cruz Calvo is the Anna Wintour of advanced niche, and the sacred cows of women mags and worldwide beauty popes regularly visit her website seeking for the latests adquisitions of the Galician trend-setter...". 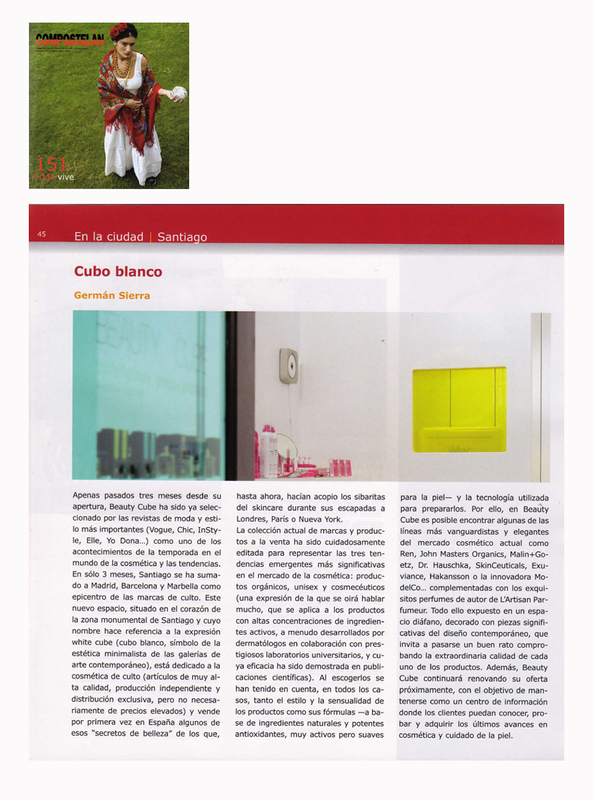 Julie Elliott, IN FIORE founder: "Cruz Calvo of Beauty Cube is without question the best curator of beauty in Europe. She has an unique point of view and has a talent for product selection and editing." 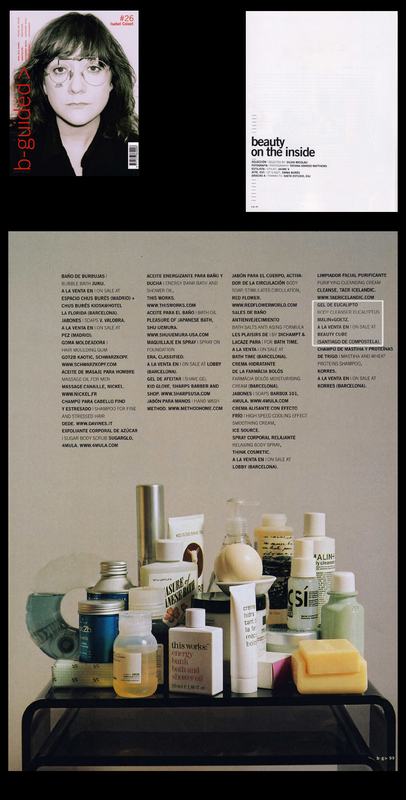 ELLE: "Cruz Calvo, very up to date with the last of the last in beauty, always discovers us cosmetic treasures...". MARIE-CLAIRE.es: "...This ultra-cool, very avant-gardist space". VANITY FAIR: "An innovative beauty space where you can find the most exclusive brands". NUEVA ESTÉTICA: "The most innovative brands turn into cult firms in the very moment they appear in the brand list of this shop, a true creator of trends. This is due to the proverbial capacity of the team of professionals in charge of Beauty Cube...". VOGUE: "Cosmetic 'Nose'. Cruz Calvo, the creator of BEAUTY CUBE, has it. Always aware of the most avant-gardist things and a well versed trend-watcher, she has just got an achievement: bringing Brad Skincare to Spain, and launching it in premiere in Europe...". 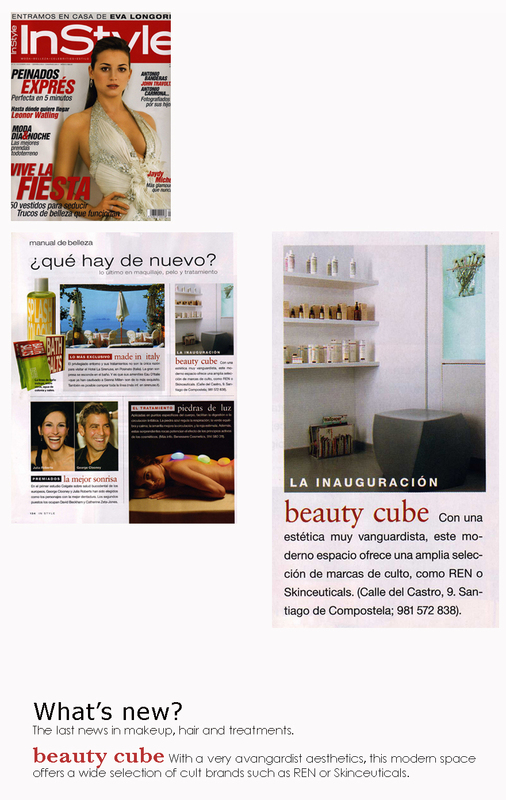 INSTYLE: "If there's a beauty treasure-hunter in Spain, she is Cruz Calvo from BEAUTY CUBE. There you can discover her exquisite cosmetic taste". Ventas de Perfumería y Cosmética.